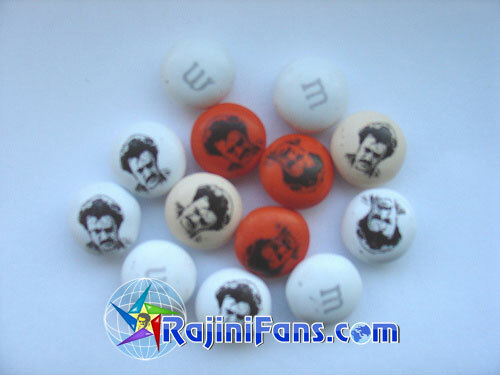 For the first time ever in the Indian cinema history and in USA, Rajini fans have come up with unique way of celebrating the arrival of KUSELAN, using American mainstream household popular candy company (M&M) to customize super star Rajinikanth image in the candies. 10 Kg of candies have been ordered by the fans for major cities where the movie is screened in USA and will be distributed on the premier show. M&M candies are similar to Cadbury Gems in India. 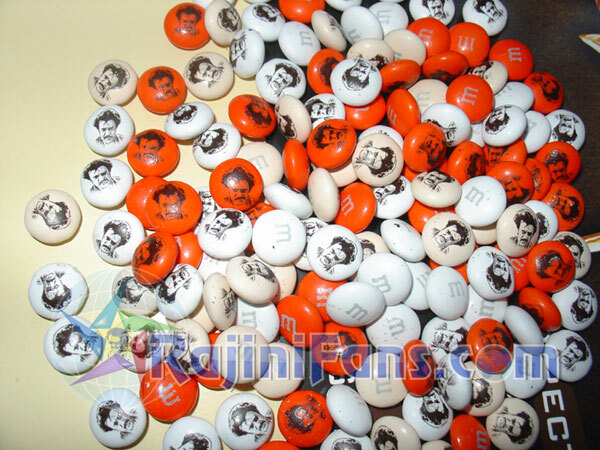 With Rajinikanth's popularity M&M company agreed to take the special order and deliver it on time for the release of KUSELAN! 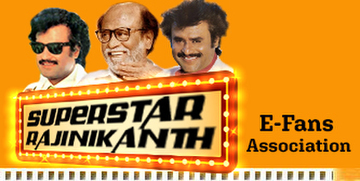 This will become a collectable item among Rajini fans indeed! 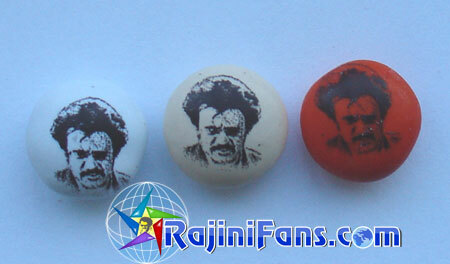 Kids may go crazy when they see "SIVAJI" uncle in their favourite candy, soon our superstar will become "KUSELAN" uncle! 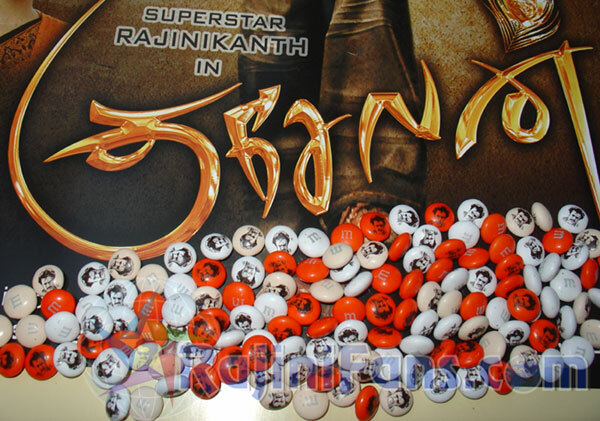 M&M candies and Huge vinyl cutouts will lightup the launch of Super Star Rajini Kanth movie KUSELAN in metro cities in USA. Pyramid Saimira distributes this movie in USA and Jayavel Murugan is extremely happy about the unbelivable response this movie has generated in USA. The most expected movie of 2008 will release with 50 prints in USA and it will leave no city without launch on the release weekend. Advance bookings are strong and already few shows in major cities are nearing sold out shows! The excitement grows for the arrival of KUSELAN!